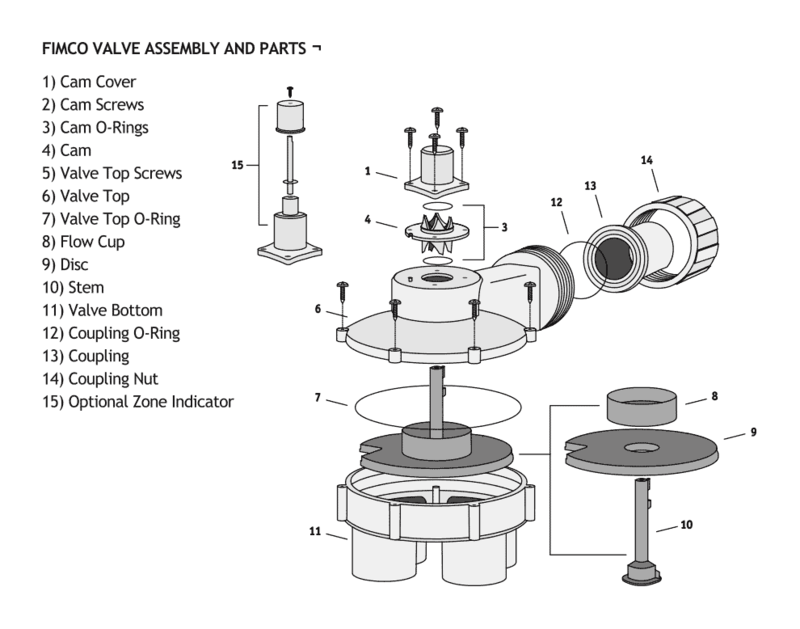 Identify an Indexing Valve – FIMCO Manufacturing Inc. In the most basic sense, the FIMCO Hydro-Indexing Valve comes in two different sizes and they are standard and mini. You can tell which is which simply by counting the screws around the perimeter. This is especially helpful when all that’s needed is a replacement valve top. If there are six screws around the perimeter, then it’s a mini valve. This would mean it’s either 1″ in and 1″ out or 1.25″ in and 1.25″ out. If there are eight screws around the perimeter, then it’s a standard valve. This means it’s either 1.5″ in and 1.25″ out or 1.5″ in and 1.5″ out.